Stormwater. It's what we do. Are Wet Pond or Wetland Sediments Toxic? Thanks to Tom Schueler for forwarding this info to us. This important question is often raised – should stormwater sediments be treated as hazardous waste? A study was recently conducted to evaluate the toxicity of sediments accumulated in the forebays of 30 wet ponds and wetlands across the state of North Carolina. The sediments were sampled and tested for metals including: cadmium, chromium, copper, iron, lead, nickel and zinc. 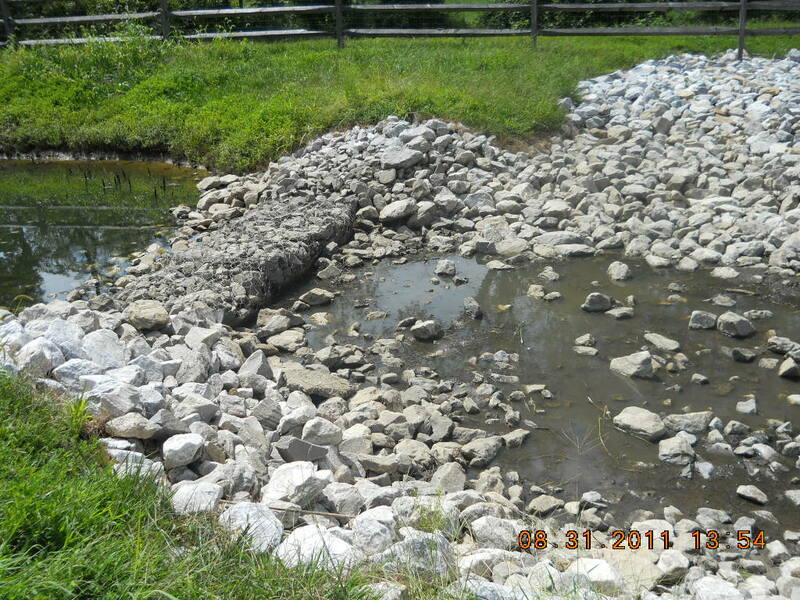 The full report can be found on Tom’s Chesapeake Stormwater Network website. The results from the study show that the sediments dredged from forebays meet US Environmental Protection Agency Standards for land application of biosolids. However, 17 out of 30 sites exceeded sediment guidelines for aquatic health. This study emphasizes the need for routine forebay sediment removal. Sediment removal is typically performed to increase the capacity of the forebays, which tend to fill with silt over time, reducing their effectiveness for pretreatment. However, as shown in this study, an added benefit of removing the sediment may be increased aquatic health of the stormwater facility. This study also verifies that it is acceptable to spread spoils on the land nearby as long as they are stabilized with seed and mulch or matting. 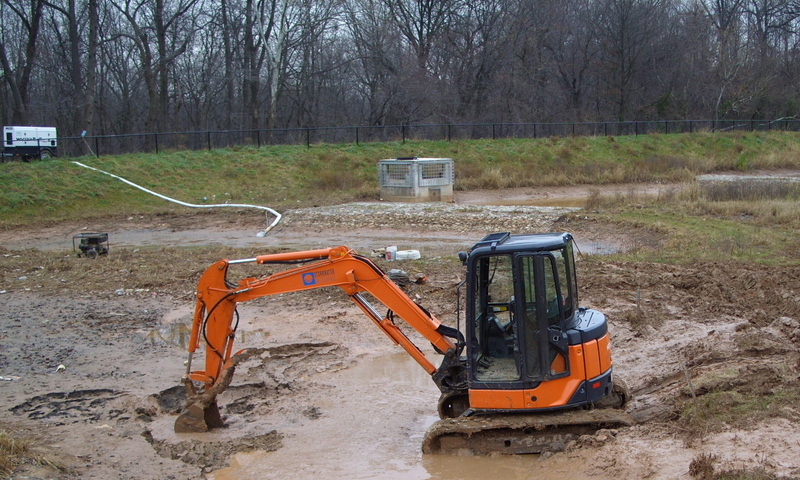 Forebay sediment removal can be included in a routine maintenance program for your site. When performed on an on-going basis, the costs are much lower than waiting for major accumulation. Once sediment accumulations, costs for removal and disposal increase dramatically. This entry was posted in Stormwater Management. Bookmark the permalink. What’s the Problem with Groundhogs in Stormwater Facilities? [Infographic] How Can Water Conservation Benefit Your Business?